For years we’ve talked about houses as though we could actually buy them. “We’d totally knock down this wall” or “we’d change the counter tops first thing.” Just dreaming, of course, but we could spend hours visually remodeling a house (and we have for our current rental). Finally these daydreams can turn into Pinterest boards because: WE BOUGHT A HOUSE! 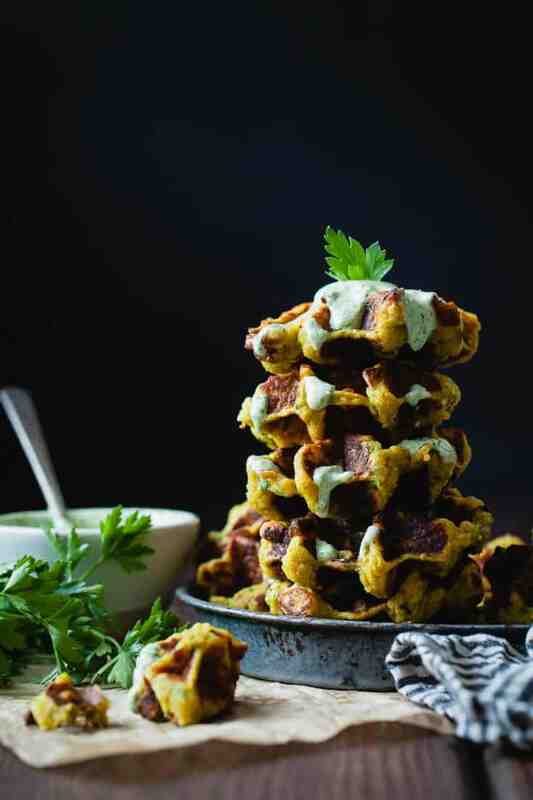 A stack of spaghetti squash fritters to celebrate! (Cake will come later). Between gathering loan paperwork and making and styling 11 recipes in 2 days for a gig with Alanna, I’ve been operating with a serious case of baby brain. Immediately after dropping off the stack of title documents, I had to call them to make sure I actually had Lucas sign them and didn’t just turn them in blank. 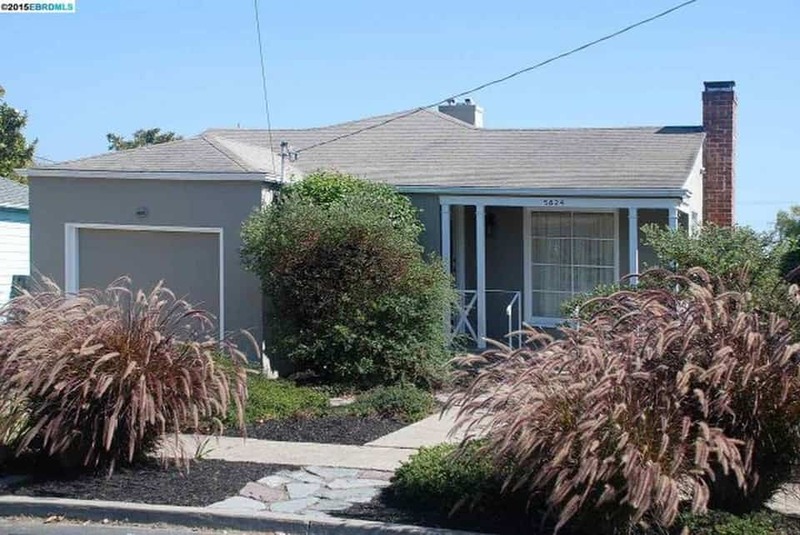 After coming in second on our first two offers, our realtor kept reassuring us, “It always works out that you end up with the perfect house.” And how true it is – we love this house 10x more than the first two. My favorite part? The kitchen (one and two – that’s just staging, we don’t get the keys until tomorrow!). That and the fact that there are seemingly 15 friendly cats that patrol our new block. In preparing to move, we left a stack of broken down boxes from Craigslist on our deck only to wake up to rain. We live in California in a drought, but of course it rains the night we’ve left boxes outside. Once I got over that hurdle, I started packing but got overwhelmed when I opened a drawer that contained: 4 small mirrors, a USB wall outlet, a can of spray paint, glittery plastic easter eggs, and a spaghetti maze of wrapping ribbons. How to you even label that box?? I’m afraid of what will happen when I open all of my kitchen cupboards. I’m offering a few dozen fritters for anyone who wants to come purge and pack our life for us. Our little #cheesebabygirl is 23 weeks along now and measuring about 11-inches long head to toe. The size of a large spaghetti squash. These spaghetti squash fritters were inspired by the leek fritters with cilantro yogurt sauce from Yotam Ottolenghi’s Plenty cookbook. A new friend made those pancake-like leek fritters for a dinner party months ago and I haven’t stopped thinking about them. To keep with the seasons, I swapped in spaghetti squash, adjusted the flavors, and waffled them (because: duh). They’re crispy on the outside, tender and moist on the inside, and booming with flavor. The refreshing dill sauce (or dip) makes them hard to put down. These little bite-sized fritters are a perfect snack for game day (just don’t ask me what team is playing). Cook the spaghetti squash. Prick the squash with a fork several times. You can roast the whole pricked squash at 375°F for about 45 minutes to an hour, until tender. Alternatively, you can wrap the pricked squash in parchment paper and microwave it for 15-20 minutes, until tender. 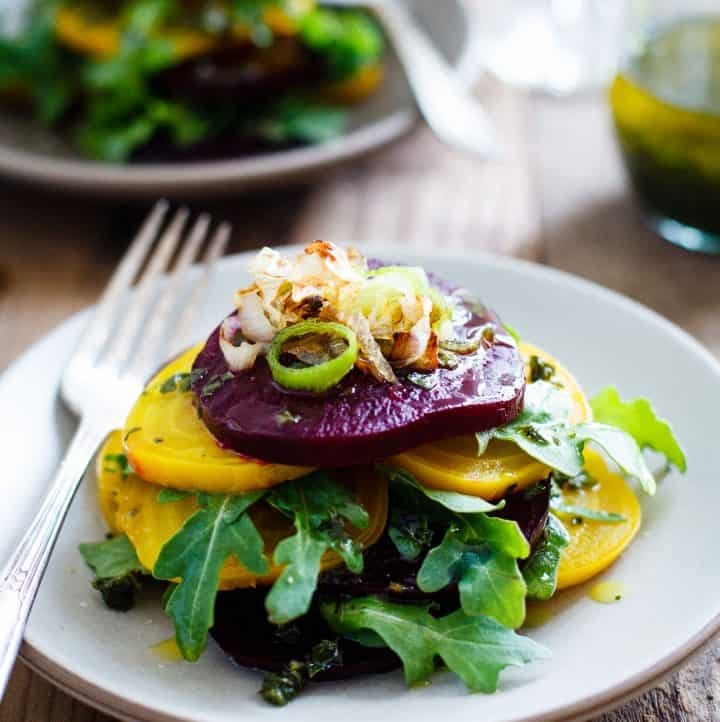 When the squash is tender, slice it in half lengthwise and use a fork to scrape out 2 cups of filling. If the filling is super moist, let it sit in a fine mesh strainer while you cook the shallots. Heat the olive oil in a pan and cook the chopped shallots until tender, about 5 minutes. If you're roasting the squash, you can also roast the shallot whole and then peel and chop it when it's tender. Combine the 2 cups of squash, cooked shallots, parsley, cumin, turmeric, cinnamon, sugar, and salt in a large bowl. In the bowl of a stand mixer fitted with a whisk attachment, by hand, or with a hand mixer, whip the egg white until soft peaks form. Gently fold the egg white into the squash mixture. In another bowl, mix together the chickpea flour, sweet rice flour, tapioca starch, and baking powder. Add the egg, milk, and butter to the flour and whisk to combine. Gently add the batter to the squash mixture and stir to combine. If using an electric waffle iron, cook small waffles according to manufacturer directions, lightly spraying the iron with canola oil. If using a stovetop waffle iron, be sure to heat up both sides for at least 3 minutes on medium heat. Lightly spray the top and the bottom of the waffle iron with canola oil. Pour scant 1/4 cup of batter into each section of the waffle iron and cook for 2-3 minutes. Flip the waffle iron and cook for another 2-3 minutes. Gently open the waffle iron to check the waffle and, if needed, continue cooking until both sides are crispy. (Every stove is slightly different, but mine is ready after 2.5 minutes both sides). Use a chopstick to help you gently remove the waffles from the iron and transfer to a plate while you finish cooking the batter. The outsides should be crispy and the insides will be soft and moist. If you don't want to use a waffle iron, you can cook the fritters over medium heat on a griddle. Scoop 1/4 cup of batter onto the griddle and cook for 2 minutes on each side, until crispy on the outside, but still soft on the inside. 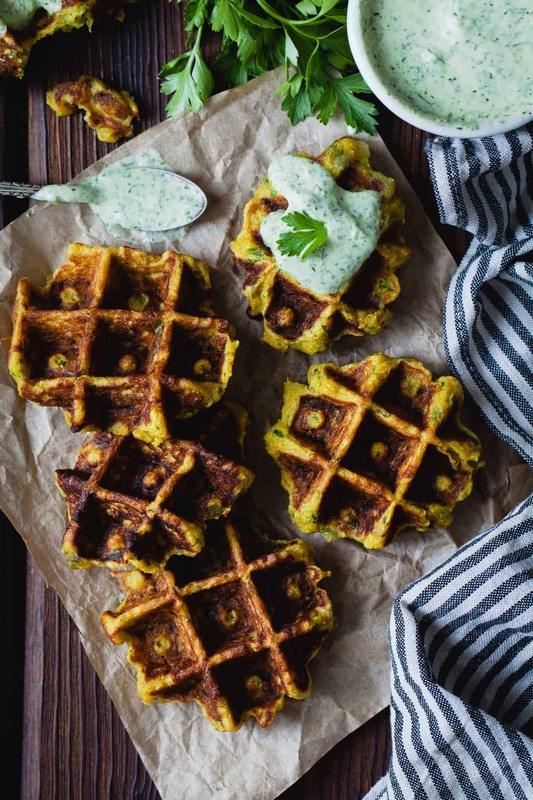 Serve waffles with dill yogurt sauce (below). 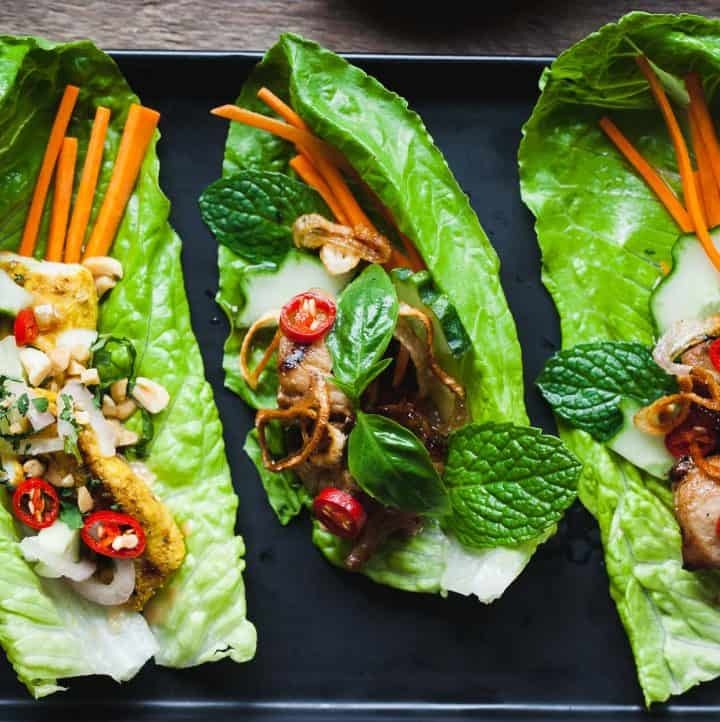 Store leftovers for up to 3 days in an airtight container in the refrigerator and reheat in the toaster. Yeah! Congrats! You must be so excited and overwhelmed all at the same time. I bought my first house this summer, so I know the feelings all too well. And yes, the infamous “junk drawer” with the most random assortment of things ever. Gotta love it! These fritters are certainly and exceptional way to celebrate. Who needs cake when you have fritters. Ok, actually I’ll take fritter AND cake…. The things I learn from reading your blog! ha! These fritters look delicious & I actually have a Spaghetti Squash sitting on my counter! Sarah!!! Congrats!! Okay, we are long overdue. I’m emailing you right now! Congrats on the house! Moving while pregnant is the real deal, I’ve been there. Godspeed. I love that you waffled these, clever lady. I love your house! I can not wait to meet my Baby Grand Daughter and see your new home! I want fritters! This is a perfect appetizer for thanksgiving guest! Thank you for the recipe! These fritters!! Wow. And your photos are just too pretty, Sarah! sooo many congratulations to you, sarah! wishing you a smooth move (the house kind, but i won’t discriminate). 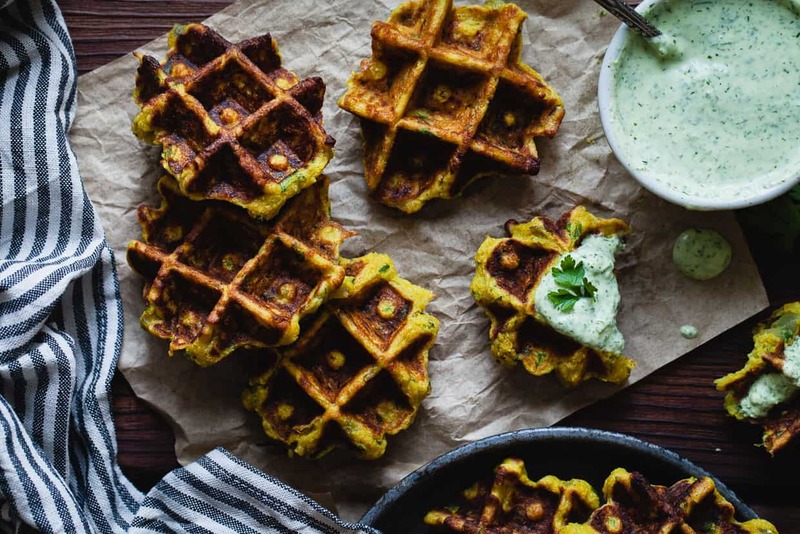 these fritters look delicious… i have yet to bite into any spaghetti squash this season and this looks like a damn good way to get to it. Sarah! Such fantastic news, congratulations on buying a house!!! So excited to hear your happy news! These fritters look like the perfect way to use that spaghetti squash I picked up on the weekend too. I especially love that they’re waffled! YAY!!! Love those house photos!!! 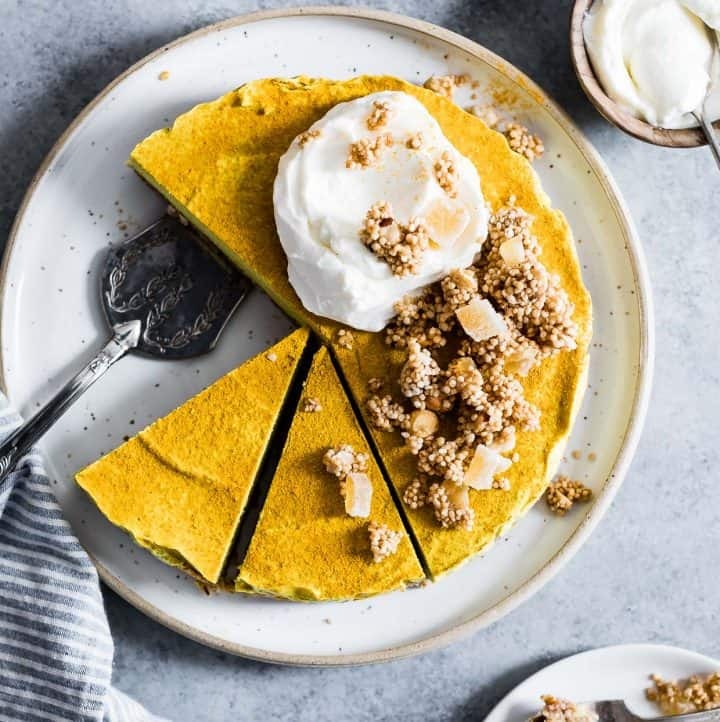 This recipe looks amazing, too, and I love that it will even work in our yes-it-is-the-middle-of-October-and-it-is-still-90-degrees-outside weather. (I am really sad that it’s not soup time yet.) Any ideas for complementary dips that don’t involve dill? Okay, house, baby, *waffled fritters*, you have it all happening like a real adult right now! 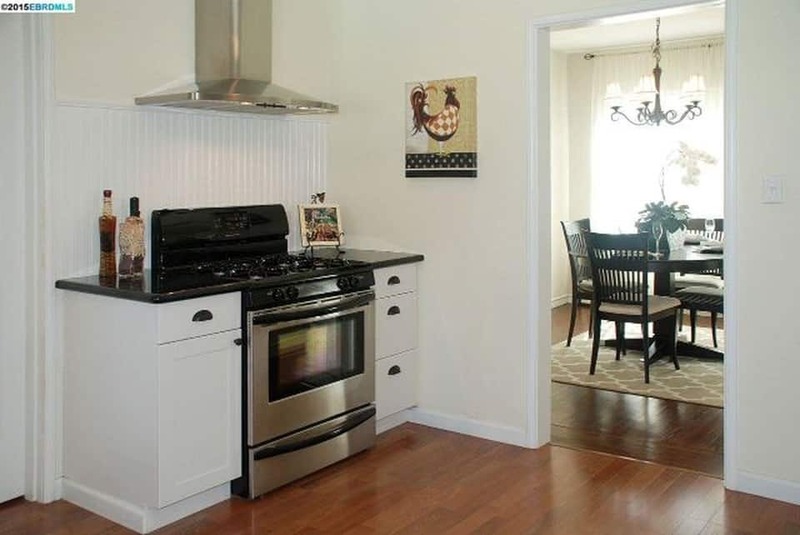 And I’m so in love with your kitchen, ahhhh… I love that the stove has its own dedicated bench. No cooked foods/splatters ending up on parts of the bench where they don’t belong! Hooray for your, Lucas’ and baby girl’s new home, Sarah! 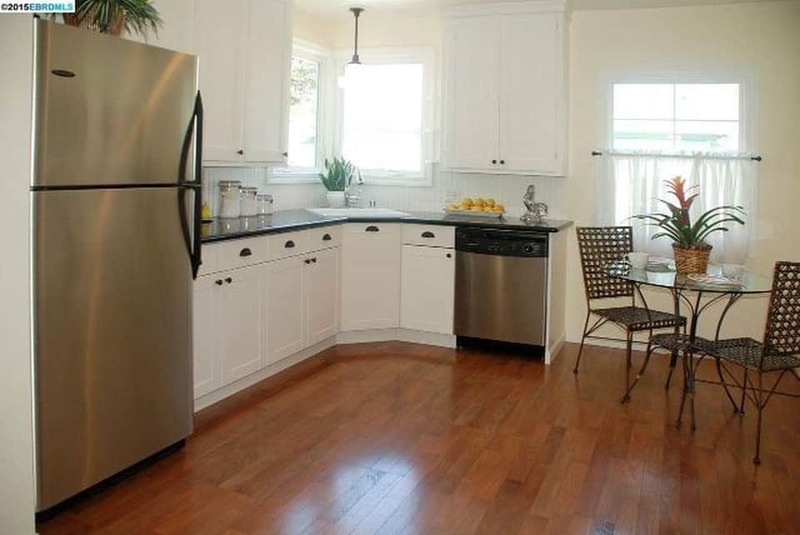 It’s beautiful… and that Kitchen (bug eyed emoji)! Well worth the wait and well done my dear. You’ve got so much going on… is your head spinning? 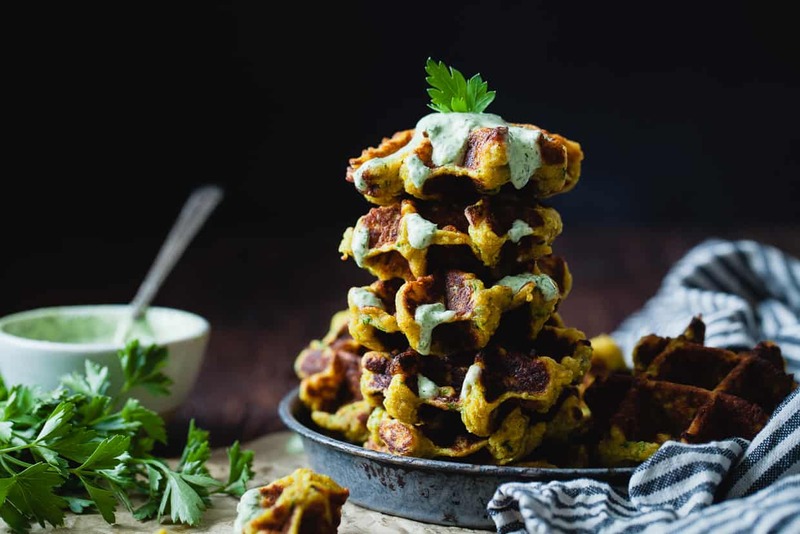 And then there’s these towering fritters with DILL sauce AND they’re waffled? OMGeeee. I’m done. Your photography is killer, lady. 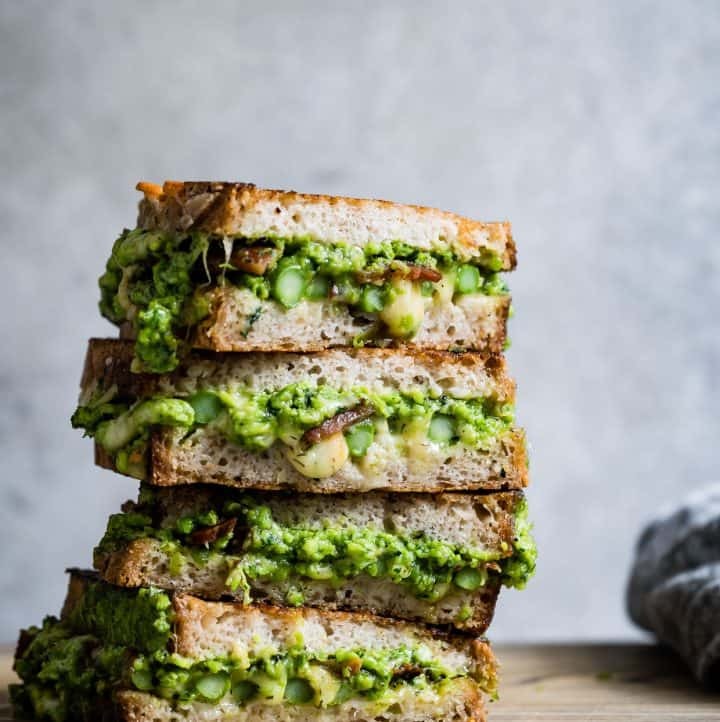 Can we PLEASE shoot food together at some point?! Many many congrats Sarah! Exciting news and the fritters look stunning. 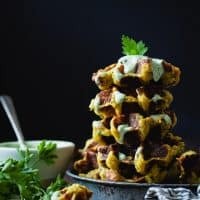 I love that you waffled these fritters and that dill sauce looks beyond fab! Congrats, Sarah! What a charming home! What town did you buy in ? I just moved to the Bay Area and am curious :) Love how their are lots of kitty friends on your street, too! These fritters look so, so amazing. But then again, everything Ottolenghi creates is amazing! Did you invent waffling fritters? Genius! As far as I am concerned, you invented it. Amazing. 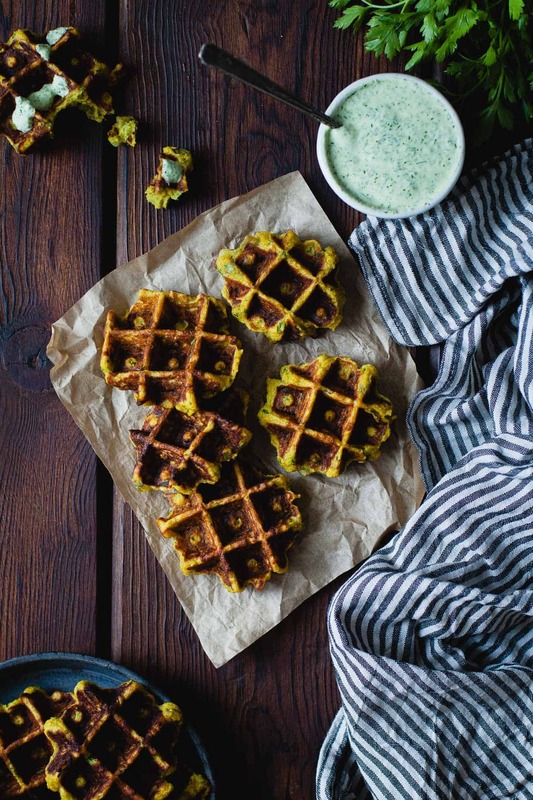 I can’t wait to waffle my fritters (that sounds weird…). Label that box junk drawer…because you know all of those items are going to end up back together in a random drawer at your new place. It always happens, no matter how many organizational tools you employ…there is always that one (or two or three?) draw of random crap! Congratulations!! Congratulations, Sarah & Lucas! This is womderful news & such a beautiful new home by the looks of it! I definitely believe we get the homes that are perfect for us in due time. Your baby is getting big big big- she’s ready to join you very soon! This was awesome! I am so happy that I found this blog AND this recipe! We grew many many spaghetti squashes this year and I am so happy to have a recipe that truly transforms the ingredient into something so good and savory! Congrats on the new house!!! My whole family is in real estate, and time and time again you see people lose out on houses, but only to end up with the perfect one. So exciting :) And these fritters! I have half a leftover spaghetti squash last week and didn’t know what to do with it. I wish I would have had this! But I will pin it for the next time. They look amazing and if they are based off of anything Ottolenghi, I’m sure they are! Yay! Love how dark and moody these photos are! Congrats on the move and finding your dream place! This is such a brilliant idea and the pictures are so beautiful! 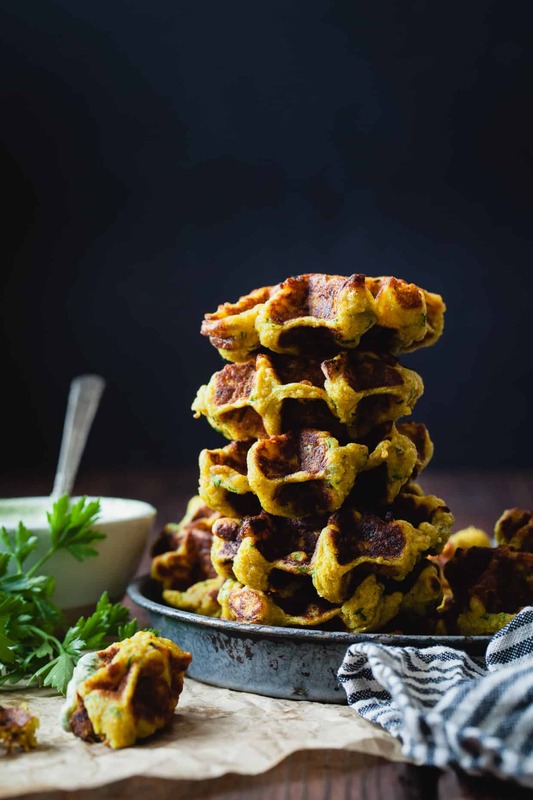 These look epically delicious and I adore that they’re waffled!!! I am so jazzed about this recipe. I love the creativity with the spaghetti squash! 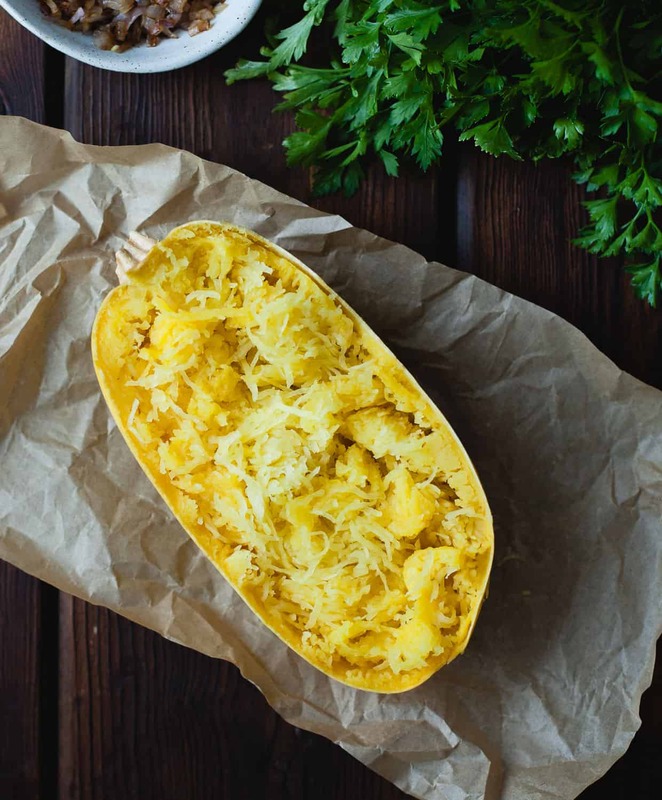 What a great new way to use spaghetti squash! Maybe this will help me get my 5 yo daughter to eat more veggies!